A wave of fires swept through major cities in the United States through the 1800s and early 1900s, leading wood-framed architecture to be deemed unsafe for increasingly dense urban environments. Houses continued to employ wood, but cities and developers began to shun the material. They turned instead to masonry, aluminum and steel to build more fire-resistant and ever-taller structures. But wood is making a comeback, thanks to new building technologies, fire safety innovations and a growing interest in eco-friendly design. 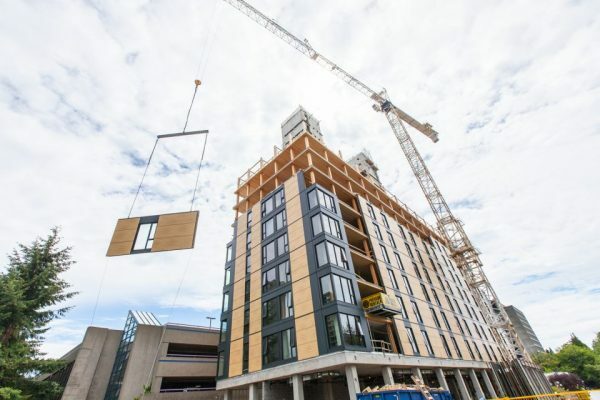 At just over 170 feet, the recently completed Brock Commons Tallwood House currently holds the record for the world’s tallest timber-framed building. Glue-laminated timber (or: glulam) columns, beams and floorboards are the primary structural elements — these hybrid wood products are much stronger than ordinary cut lumber. 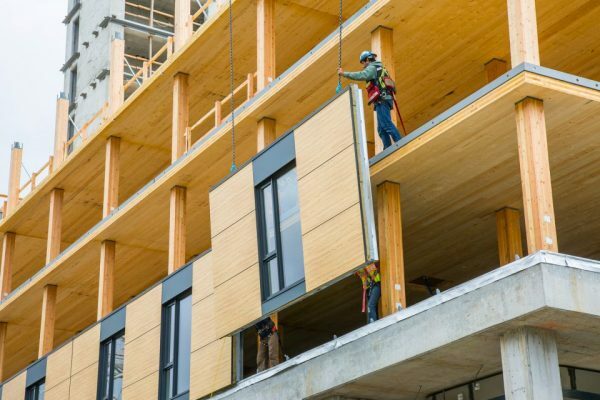 Glulam supports are light, typically around 2/3 the weight of steel and 1/6 the weight of concrete, and have a fraction of the embedded energy. This lightness also reduces transportation energy and costs. 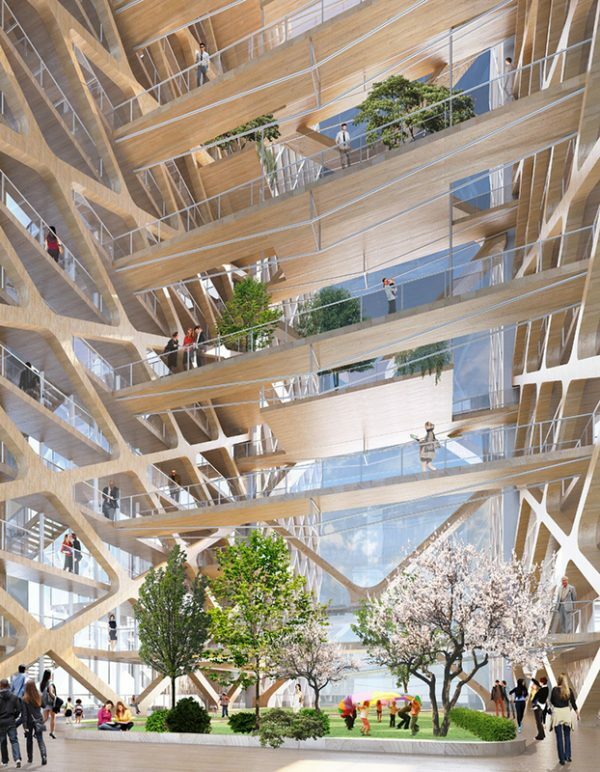 Wood’s natural flexibility can help structures better withstand earthquakes, too. In Brock Commons, a plywood facade highlights the building’s primary structural material on its exterior. On the inside, wood-to-wood connections limit the need for metal and relegate steel-reinforced concrete mainly to the base and the elevator core. Completed using prefab parts, the whole structure was erected in just 70 days. And this is far from the only project testing the design limits of wood. The designers also address the first concern raised by many skeptics: fire. It seems counter-intuitive but wood can, in many ways, actually perform better under heat stress. “Wood is more fire resistant than both steel and concrete. This is due to 15% of wood mass being water, which will evaporate before the wood actually burns. In addition, logs get charred which protects the core.” While steel heats up quickly and buckles, wood first drops water weight then chars and burns slowly. 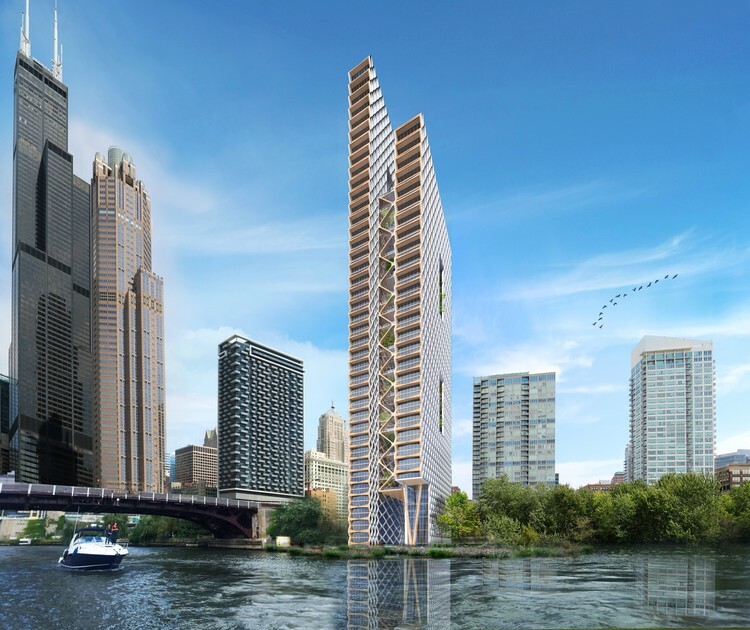 On the drawing board of architects from Perkins + Will, the River Beech Tower project in Chicago would reach an incredible 80 stories high and be much lighter per floor than the nearby Sears Tower (at 1,400 feet with 176 million pounds of steel). 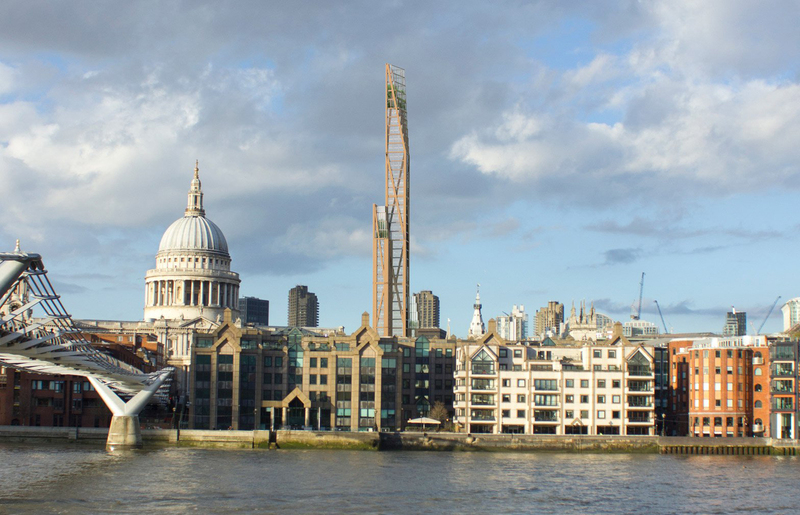 Its design calls for super-strong plywood and cross-laminated timber to achieve record-setting heights. Meanwhile, wood spanning limitations are addressed by creating two narrower buildings and connecting them via a central atrium space — material advantages and limitations drive the design. Compared to the recent rash of unrealistic “treescrapers” dominating architectural renderings, this “plyscraper” evolved from sound structural logic. Of course, there still a lot of wishful thinking baked into some of these visions, and not all of them are likely to be realized anytime soon — building codes and developers can be slow to change. Still, material innovations are pushing designers to rethink the role of wood in construction. And resulting designs highlight the potential of an old material to branch back out into cities in new and different ways. 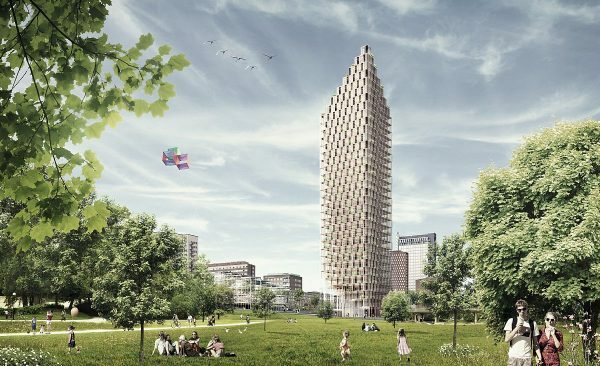 A single wooden skyscraper might be a fine thing to have surrounded by steel skyscrapers, but a city of wooden skyscrapers would be a Dresden waiting to happen. I think if one caught fire, say because of a 9/11-style attack, or Grenfell-style negligence, the radiant heat and flying sparks would ignite its neighbours, and so on exponentially. The wood is only kept relatively fire free by some treatment and careful fire precautions: it’s not absolutely fire-proof. What about when pests (like termites) inevitably get into the structure? How will we detect that quickly enough to prevent serious damage?